Thanks to the innovation of sliding panels, gone are the days that vertical blinds are the only alternative for window treatments, in certain circumstances. Sliding panels in Charlotte are popular for use with patio doors, sliding glass doors and oversized windows. However, before you make up your mind about which window covering you want, the first thing that you should do is select the right company to partner with. Here at Sweet Shutters and Shades, we have worked hard to become the top choice for window treatments in the Charlotte area, and we're happy to be the local leading service provider for those seeking sliding panels and other types of custom draperies. Part of what helps us stand out from the competition is that we know the industry, inside and out, and stay abreast of changes, trends and cutting-edge innovations. This is the best way to help our consumers know more about the options that they have and make the best choices possible. Our goal as your local Charlotte shutter company and window covering expert is to not just meet your expectations but to exceed them. We take what we do seriously and that shows in the results that we are able to deliver. So if you are ready to learn more about sliding panels, or any other type of window treatment, simply give us a call. This is an ideal contemporary alternative to vertical blinds. They look sleek and modern and outperform blinds, depending on the quality of the window blinds. While they are ideal for coverage on large areas of glass, such as sliding glass doors, they are also being used for other projects. One example of other popular uses is as a ceiling mounted room divider. They offer a simple and clean look and come in a variety of styles. From woven and sheer to more solid. Like traditional styles of window coverings, you also have a variety of colors to choose from. Quality sliding panels in Charlotte, that are professionally installed, glide seamlessly on a wheel carrier track. This makes them extremely user-friendly. Let us meet with you for your free in-home consultation, and review all the benefits of sliding panels. 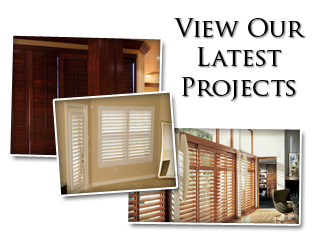 If you are ready to discuss your variety of window treatment options, give Sweet Shutters and Shades a call today. We look forward to helping devise a smart solution for your drapery needs, such as the implementation of sliding panels. Call today and let's begin tackling your project. 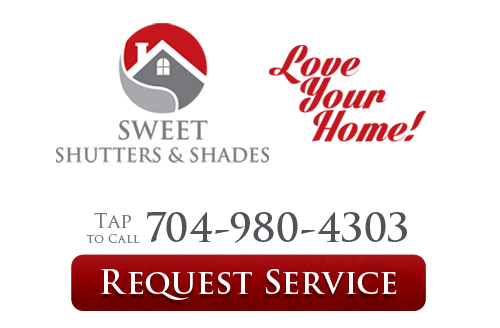 If you would like an estimate for custom sliding panels in Charlotte, NC or the surrounding areas, please call Sweet Shutters and Shades at 704-980-4303 or complete our online request form.